I am offering this special 200,000 Dofollow Backlinks service to rank your site on google first page and also who want to rank high for an upcoming event. web2.0 properties and then use my service. This service is also working best to rank PBN links. 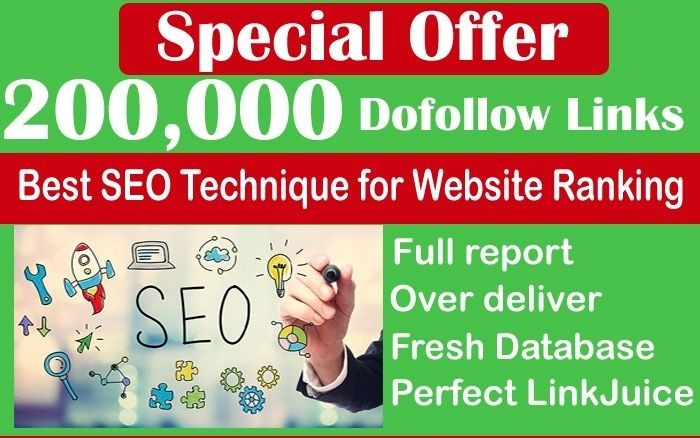 Seo 200,000 Gsa Dofollow high Quality backlinks for Google First page is ranked 5 out of 5. Based on 7 user reviews.